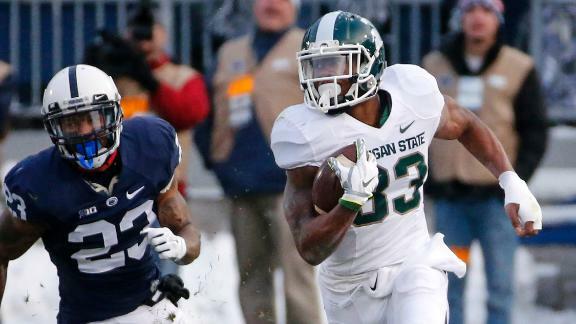 Jeremy Langford ran for 118 yards and 2 touchdowns in a 34-10 victory over Penn State. Chris Conley had 3 catches for 68 yards and 2 touchdowns in a 55-9 victory over Charleston Southern. Everett Golson threw for 315 yards and 3 touchdowns and ran for 33 yards and 3 touchdowns in a 49-39 victory over Navy. Trevone Boykin threw for 433 yards and 7 touchdowns in a 82-27 victory over Texas Tech. Nick Chubb ran for 202 yards and 2 touchdowns in a 45-32 victory over Arkansas.